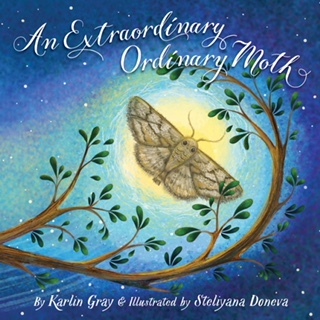 We are pleased to have picture book author Karlin Gray in the Author Spotlight today, with her picture book, AN EXTRAORDINARY ORDINARY MOTH, illustrated by Steliyana Doneva (Sleeping Bear Press, April 15, 2018). Congrats on your book, AN EXTRAORDINARY ORDINARY MOTH! Tell us about it and what inspired you. Thank you. I was inspired by something my son said when he was a toddler. One day, he declared that the moth was his “favorite” insect. (He didn’t have all the reasons behind it like the boy in my book. He simply liked moths.) I thought, what if that moth was feeling blue and then overheard my son? How would that little creature feel being someone’s “favorite” instead of being shooed away? Later, I jotted down “I’m an ordinary moth, as you can plainly see...” and the story went on from there. You've published several picture books in a short period. Tell us about your journey to publication. I’m excited to be working on a Serena Williams biography with the new imprint Page Street Kids. And I’m always researching ideas for new nonfiction and fiction books as well as tinkering with manuscripts that live in the “reject” box. • Take a class in children’s writing so you can learn the basics. If that’s not available to you, read Harold Underdown’s book The Complete Idiot’s Guide to Publishing Children’s Book. Better yet, do both! • Treat writing like it’s your job—even if it’s your night job. 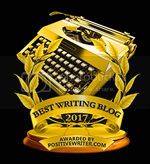 • You can’t control whether your manuscript is acquired or rejected. But you can control meeting goals like finishing a manuscript or revising a manuscript or submitting a manuscript. And if your work is rejected, YOU control your decision to give up or to persist. • Write jacket copy for the “book”: This helps me focus in on the heart of the story and, later, the summary can be used in query letters. • Collect back matter: Working on back matter—a timeline, an afterword, bibliography, and a recommended reading list—helps organize my thoughts on nonfiction books. And for fiction titles, searching for activities to go with the story can really get my creative juices flowing. • Flip through magazines: I love the Texture app. Not only does it eliminate piles of magazines in my house but it’s a helpful research tool. By using the keyword search, you might find articles to use as sources for your book or the perfect publication to put on your “send review copies to” list. • Think book swag: When I’m daydreaming that my manuscript will become a book, I like to think about promotional items to go with it. (Yes, I know I’m getting ahead of myself but it’s fun!) Writing a story about being afraid of the dark? Flashlight keychains. A story about rainbows? Sparkly rainbow tattoos. Put all your ideas in a folder marked “Marketing/Promotion” and then head back to your manuscript. • Recline and research: Watching documentaries is my favorite way to procrastinate because it usually involves a little snack and possibly a catnap. And it works for fiction too. Writing a story where your main character is a hedgehog? You need to know what they eat, how they sound, their mannerisms, etc. Netflix and chill with some nature shows! Karlin Gray runs the #firstpicturebook Q&A blog at http://www.karlingray.com/blog.htm and is the author of NADIA: THE GIRL WHO COULDN’T SIT STILL (HMH Kids), AN EXTRAORDINARY ORDINARY MOTH (Sleeping Bear Press) and SERENA: THE LITTLEST SISTER (Page Street Kids, 2019). 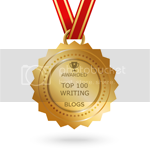 "You can’t control whether your manuscript is acquired or rejected. But you can control meeting goals." This is so true, Karlin. I use a notebook with lots of checkboxes and keep meeting goals and creating new ones, all the time. This is what keeps me motivated and on track. 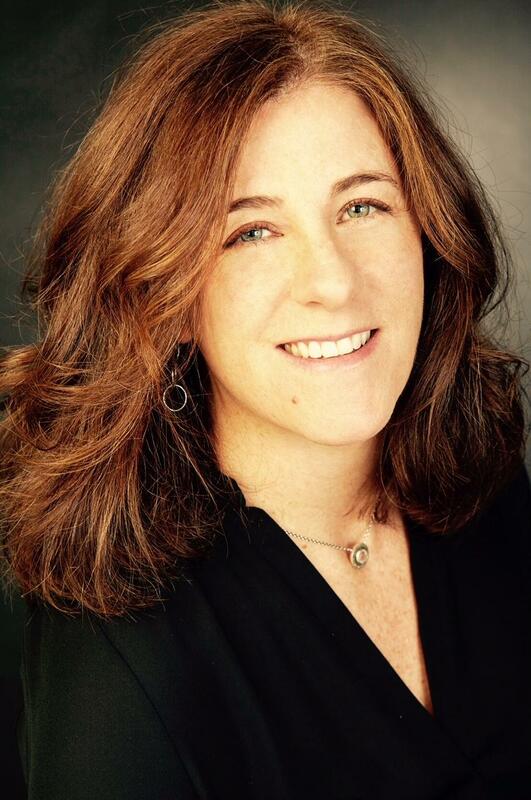 Wonderful interview - and great tips on keeping our heads straight while being a writer. Love that you wrote about a moth! "Write jacket copy for the “book”: This helps me focus in on the heart of the story and, later, the summary can be used in query letters"
I've been working with a mentor and this is one thing she made me do before starting a story and before revisions. It really helps. Thanks for all the other great advice, too, and congrats on your new book. It sounds wonderful. I love your ideas for productive procrastination! Congrats on the upcoming books! When I was six or seven and walking to school, I did like to see little white moths flying around people's gardens. I love the story about your son. It always intrigues me to find out how authors get started. Congrats! I am happier when I give myself time to write and feel successful when I reach my goals, which change as life changes. I'm looking forward to reading your books. Great interview - I love the tips for giving yourself permission to procrastinate productively! Great advice. Love your top 3 tips! I love your idea of "productive procrastination." And I often now think there's no such thing as procrastination, only right timing. Excited to see your book! Thanks Karlin for the great productive procrastination tips! Your new book (s) sound wonderful! I can't wait to read them! Congratulations! Karlin, you are brilliant! I am a huge procrastinator and often, my best work comes my mad dash to work because of time I 'wasted'. This 'wasted' time was actually time spent watching TV about specific animals, etc. Therefore, may I borrow your new coined term, 'productive procrastination.? Also, thank you for the the insight into your creative world, I will apply that knowledge when reading your new book, to give me a better understanding of how your creative procrastination worked for you.